Gothic Point Gothic is a lively hostel in the very centre of the city. 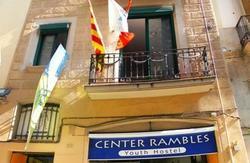 Were located just 150 metres from the Picasso Museum, only two minutes walk to Las Ramblas.Weve designed the hostel to combine privacy with comfort. As a result, in the rooms our guests have their own individual cubicle containing the bed, an individual reading light, plug and a locker. Rates include the bottom sheet. Additional linen, blankets and towels can be rented for 2.We offer a free Wi-Fi connection and 20 minutes free internet access on our computers. 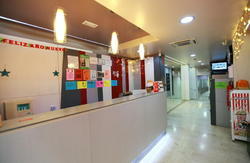 Theres also a free breakfast with coffee, tea, milk, juices, cereals, fruit, toasts, etc. 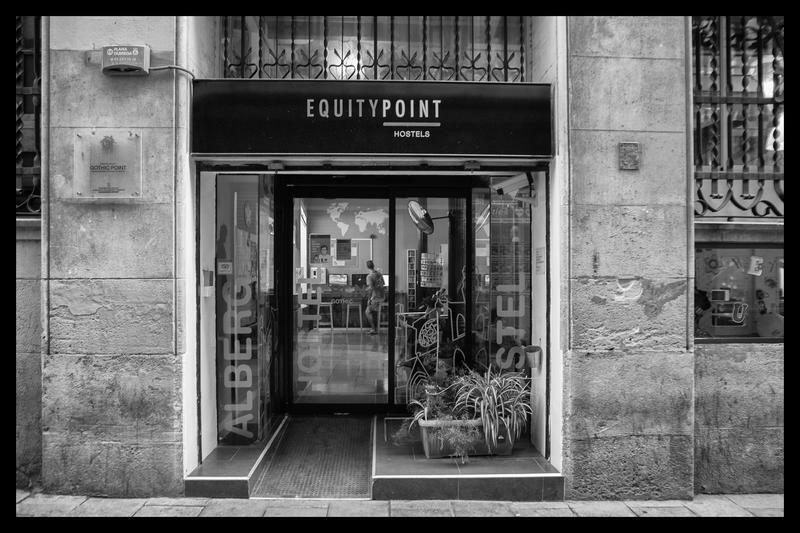 You can meet tons of people and listen to music or watch TV in our huge common room, which also has vending machines.We have tons of activities going on, with walking tours, sports, parties, and much more!Barcelona is a city of charming streets, busy with people and full of life. The old town, comprising the Gothic quarter, the Rivera and Raval districts, is famed for its historical monuments, narrow streets and bohemian atmosphere. The city also has the biggest selection of modernist architecture; most of these buildings are in the Eixample district which constitutes a unique model of European urban planning.Barcelona is the only European capital with over four kilometres of beaches where you can enjoy the most modern amenities and these beaches are not far from Barcelona's historical landmarks, and they have opened up our modern and cosmopolitan city to the sea.The Gothic Point is one of the Equity Point Hostels.Persons under the age of 18 are only allowed to stay in private rooms or dormitory rooms that are booked for use of one family or group of persons, and cant share dormitory rooms with other guests. People under 18 years of age must travel with their parents or legal tutor. 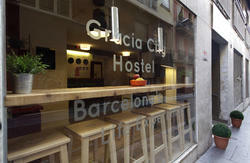 The hostel is just 30 metres from Jaume I metro station on Line 4 (yellow line). From the airport Barcelona El Prat: Take the train to Barcelona Sants Station and from there take metro line 5 (blue line) to Verdaguer station. Change here to Line 4 (yellow) and get off at Jaume I. From the airport Girona Costa Brava:Take the bus to Barcelona. Get off at Plaa de Tetuan then take metro Line 4 (yellow) from Girona Station (in the cross section of Girona Street and Consell de Cent) to Jaume I.The journey takes 1 hour and 30 minutes. The bus single ticket is 9 and the metro ticket is 1.10.